Certain additions can vastly increase the value of your home. But before you pour money into a project, it’s important to know what return – if any – you’re likely to get. The Office of National Statistics found we spend nearly £30 billion a year on home improvements in the UK – that’s £43 million a week. So how do we know we’re splashing all that cash on the right projects? The National Association of Estate Agents (NAEA) asked professionals what they believed were the top modifications to add significant value. Around 50 per cent said an extra bedroom – followed by an upgraded kitchen, extra bathroom and conservatory. Adding a double bedroom can add more than 10 per cent to the value of your property for example. These are some of the top home improvements, and how to ensure you get the best return on your investment. Extension – Adding square footage is pretty much guaranteed to boost value, whether it’s adding a kitchen or dining area with a single-storey extension, which usually doesn’t require planning permission, or a double extension for extra bedrooms. Expect to pay upwards of £20,000, adding an estimated value of 11 per cent (around £35,000 on the average UK home). Extra bathroom – Squeezing in an extra bathroom can boost your home’s value by a typical five per cent – nearly £16,000 on the average home. En suites are also very much in demand, as people are increasingly looking for comfort and simplicity. The cost can vary significantly so don’t go too wild when it comes to tiles and taps. Go for affordable quality rather than OTT luxury and think about what might appeal to buyers looking in your area, rather than making decisions based on personal taste. Open-plan living area – Open-plan living is still very desirable for many house hunters, with simple, practical spaces at a premium. When searching for a home to buy, house-hunters are usually looking for a usable space – an open plan kitchen and dining room is becoming a must. Which? 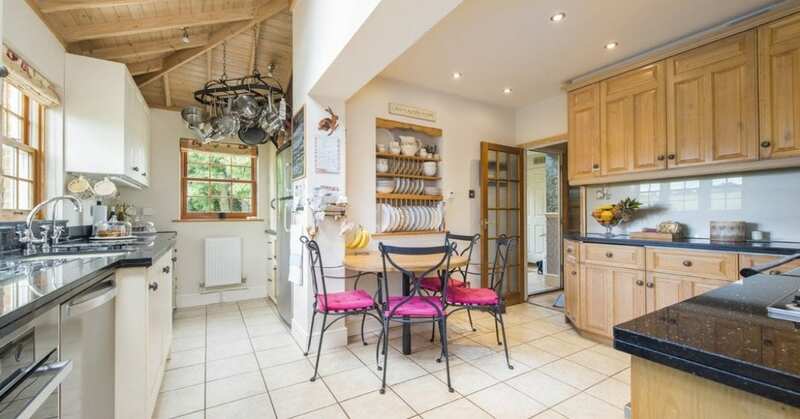 found that a new kitchen could typically add six per cent (average £19,000) in value. Conservatory – These glass houses are becoming cool again – so long as they are actually made of glass. Conservatories built on the cheap with uPVC can actually deter buyers, and can feel very dated. Conservatories will add value to a home, but they need to be made with quality materials and provide a lot of light in order for the value to be significant. Done correctly, a conservatory costing between £4,000 and £10,000 could increase value by five per cent – an average of around £16,000. Remember that gardens also add significant value, so strike a balance between adding the extra room and minimising outdoor space. The ideal is to have a conservatory or orangery which acts as a segue between indoors and outdoors. Extra bedroom – Experts agree that creating an extra bedroom, especially with a loft conversion, offers the best increase in value. It could cost anything between £15,000 to £40,000 depending on the size and other variables. Some homes may have space for re positioning without an extension, for example. But figures from a Nationwide survey suggest the investment pays off. Adding a double bedroom can add more than 10 per cent to the value. Based on current values, that’s around £32,000 on the average UK home. Budget carefully according to your house size and current market value, and you could be on to a winner. Follow David Burr on Instagram!